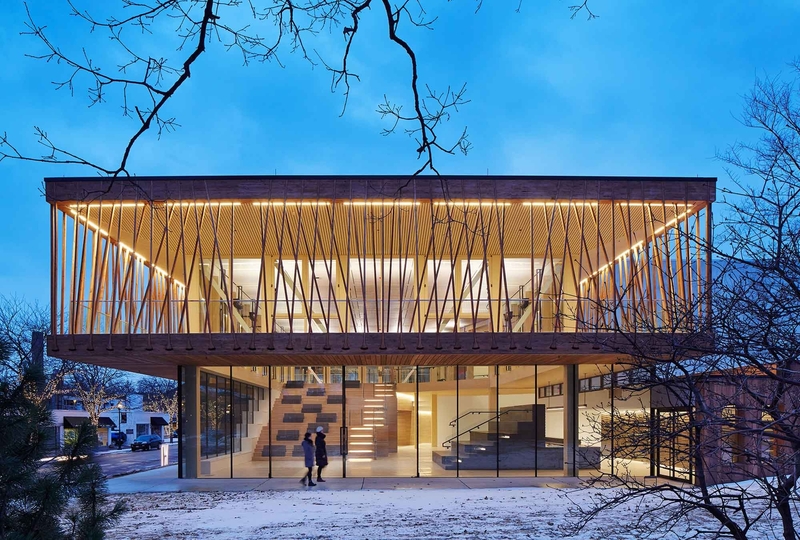 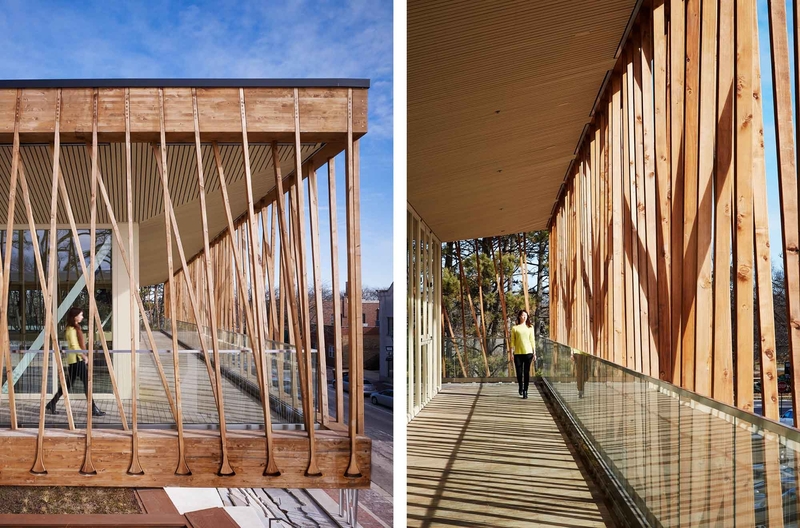 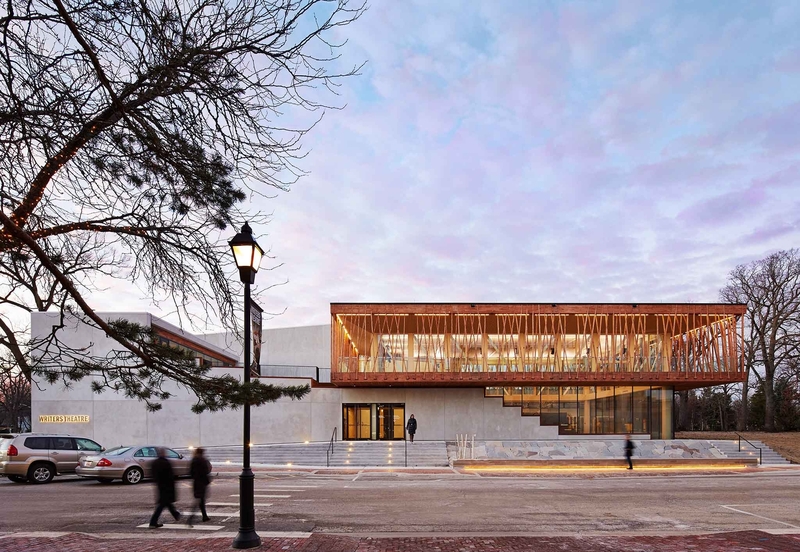 Located in Glencoe, Illinois, Studio Gang’s Writers Theatre project is a sterling addition to both the village of Glencoe as well as Chicagoland’s expansive theater scene. 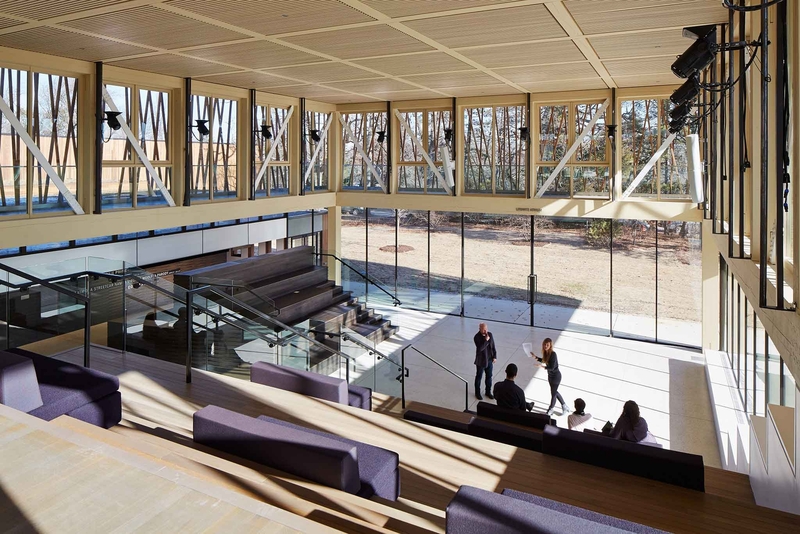 Organized as a village-like cluster of distinct volumes that surround a central hub, the building’s form resonates with the character of Glencoe’s downtown. 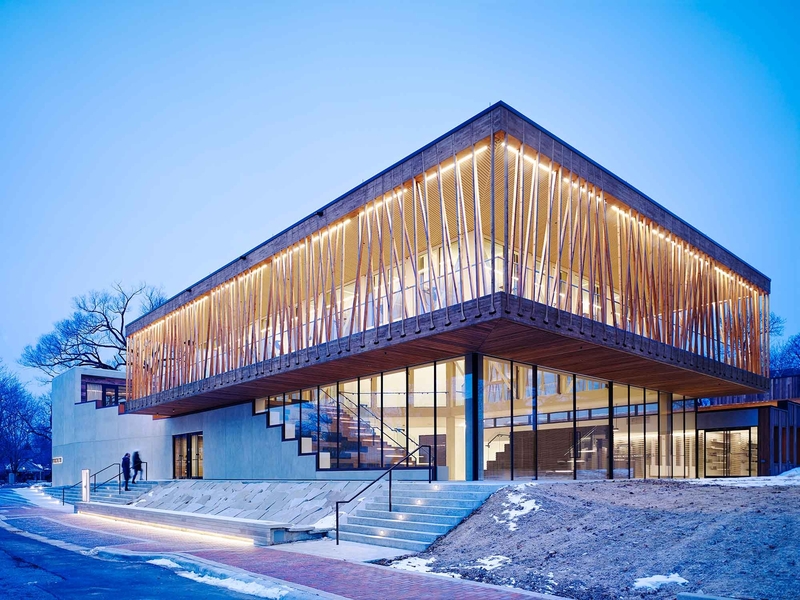 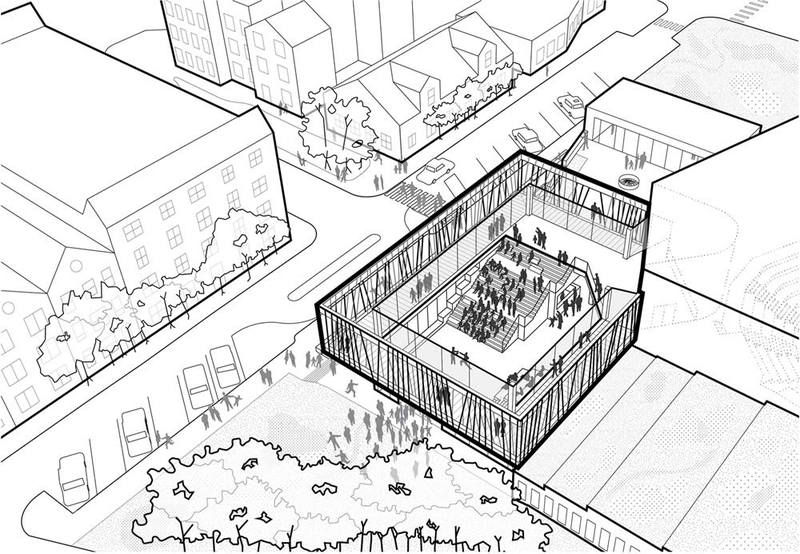 The theater’s two performance spaces employ staging and seating configurations to maximize the sense of intimacy between actors and audience — a signature experience of the Writers Theatre group.